Microsoft announced that it is unrolling a series of improvements for map-related searches in the UK. 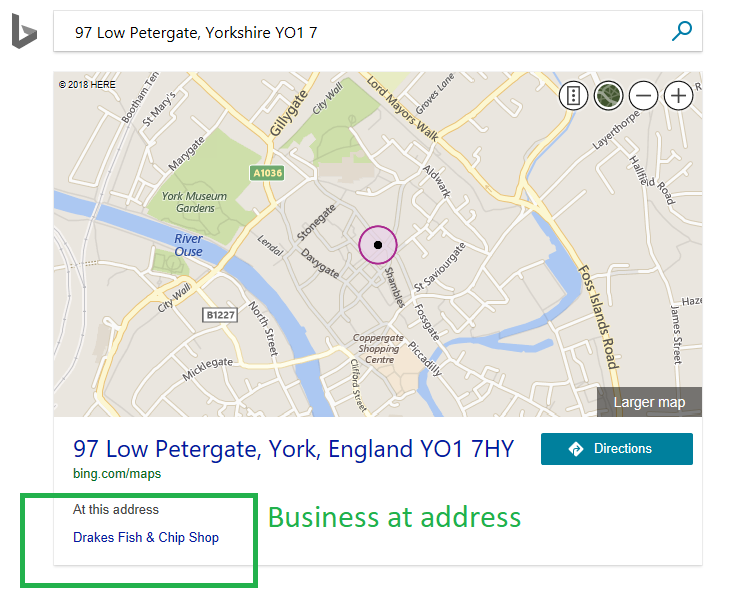 Although not exactly ground-breaking, as the features have been featured in Google Maps for a number of years, Bing users will be glad to know that they can now take advantage of the new additions. Possibly the most useful feature for users, and also beneficial for businesses, is the addition of a map in the search result when people search for addresses. Bing describes the map as being “fully dynamic and interactive” on large-screen devices. 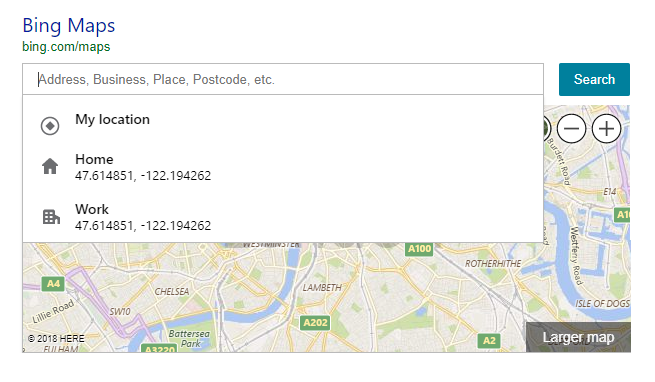 The feature also works with cities, counties, and postcodes. As seen in the below image, another new feature is the “business at address” aspect, that allows users to see what businesses are associated with a particular address. Map features business at address. This means that it is particularly important for businesses to submit accurate address while filling out their Bing Places information. Another feature will be the consideration of certain keywords like “maps” on Bing for desktop, which will trigger a map answer experience based on a user’s location. This will involve suggestions for nearby landmarks, businesses, and activities. Map as triggered by keyword. Another neat little feature that Bing has added is the “search along the route” option, which means that if a user is travelling, they will be able to see what attractions, restaurants, and landmarks they could visit along the way. Alternative driving routes and other information, such as how long a person can be expected to be stuck in traffic, has also been added. For users that know their geography, the search engine has also improved its experience for latitude and longitude queries. This means that if a user was, for some reason, to search for a lat/long query on Bing.com, the search engine will show an associated address location and list nearby businesses. Street-side imagery has also been enabled. In other map related news, Google Maps is currently testing directions based on nearby businesses. Whereas before you might have seen or heard “continue down Water Lane,” you might instead hear “continue driving to SALT.agency” as a reference point. That said, the experiment mostly uses restaurant locations, so there’s some doubt whether the references will include Leeds based digital agencies.